Why is 24 hour emergency plumbing services important in your apopka home? Plumbing emergencies happen anytime of the day and it is very important have a trustworthy Apopka plumber. You will need one that can be trusted and reliable that if you have a plumbing problem at 2 a.m. they will come right away. There are many plumbing emergencies that can occur such as clogged sewer line, leaking water pipe, broken hot water heater or a flood inside your home and at this time it is important to have good plumber. 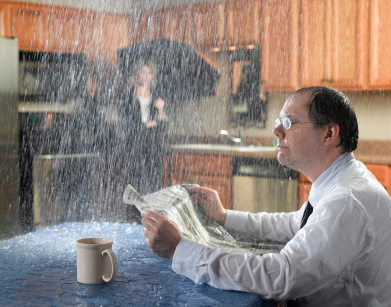 We at Drain Genie Plumbing Services suggest you find a trustworthy plumber before an emergency happens. It’s important to do your research on the plumber so when a problem arises you know who to call and you won’t be in a panic to find someone. We also suggest to locate your main water shut off to your house so in the event of a plumbing disaster you know exactly where the shut off is to save time and to prevent a more severe flood. If you can’t find the shut off valve to your house we suggest having your Apopka plumber install one or find the meter and purchase a meter key from your local hardware store. By doing this you will cut down on your chance for a major plumbing disaster and you will be prepared for the problem if it does arise. Also it will save money because you will know where to shut the water down and cut down on the damage if you had a burst pipe. All of these tips will save you money because you will have a plumber you can trust and a plumber that won’t gouge you in your time of need. If you have an emergency plumbing issue you can call us 24 hour a day at 407-393-0717 we serve Orlando, Lake Mary, Longwood, Oviedo, Sanford, Deltona, Apopka, Winter Park and all of Central Florida.